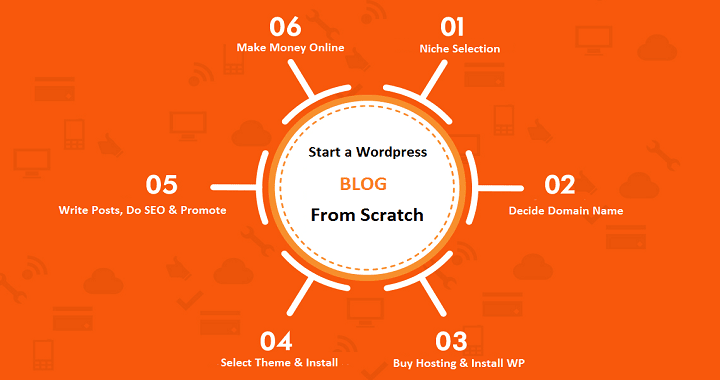 How to start a WordPress blog from scratch is probably one of the most widely topic in the blogging niche. There are multiple platforms on which you can start your new blog. Few of those are WordPress.com, WordPress.org, Blogger.com, Drupal, and many others. Some are free and some cost money. Among all these, WordPress.org is most widely used, recommended and best of all - free. If you are starting from zero - skip the paragraph below and continue reading this guide. If you already have an existing website or an eCommerce store, or if you use one of the website builder platforms - you might not need a Wordpress blog since the majority of other platforms (e.g. Shopify, BigCommerce, Volusion or Wix) has blogging features built into the platform. If that’s the case, we recommend visiting SupplyGem that covers eCommerce platforms, has comprehensive how to guides and more. It is also no more secret that blogging is just a hobby; it is a profession and business. And so, you need a blog which should have the capability to turn into a business. In this how to start a WordPress blog from scratch guide, I will discuss all the steps in detail. I’ll ensure that this is the only guide you’re following to start a WordPress blog from scratch. For simplicity, I am going to categorize this how to start a WordPress blog from scratch guide into a different segment. I will be basically taking care of all the above 10 points in this how to start a WordPress blog from scratch guide. Let’s start with each module in detail and start a WordPress blog from scratch. Our main aim is not just to get you started but also show you how to earn from the blog. This massive guide on how to start a WordPress blog from scratch will give you all the insights of starting blogging. Well, as I mentioned earlier, there are lots of blogging platforms available like WordPress.org, WordPress.com, Blogger, Drupal, etc. and all are doing good. The thing is where WordPress.org (self-hosted WordPress) has greater market share, Drupal or others have very less. 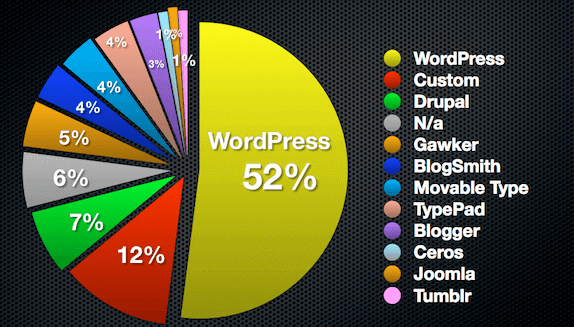 From the below pie chart you can check that over 52% market as a blogging platform is captured by WordPress.org followed by custom blogs, Bloggers, and others. So, I will also suggest you go through self-hosted WordPress blog (WordPress.org). There are multiple benefits of it. Although it is bit costlier but will add a flavor. The blog you are reading is on Blogger and I face issues while customizing. 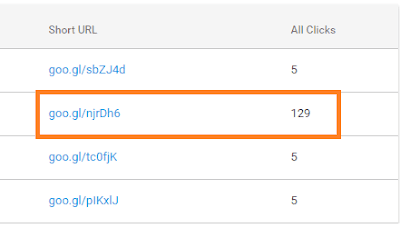 That is the reason all my other blogs are on self-hosted WordPress. Even though you don’t need hosting while starting a blog with Blogger but apart from that everything will be the same. But when you will start using it you’ll find a lot of differences. Let me list few of those here. 1. The customization is very hard in Blogger and you can’t do all the customization you want. 2. There is no concept of landing pages in Blogger inside a blog. If you want to remove sidebar from blogger, you can do it but that will be for pages or whole blog, not the post. 3. There is always a risk that Google may delete your blog without any prior warning and all your work will be lost. 4. You can’t much play with the blogging tools as there is not much add-on available for Blogger. Whereas for WordPress 46k+ plugins are available. 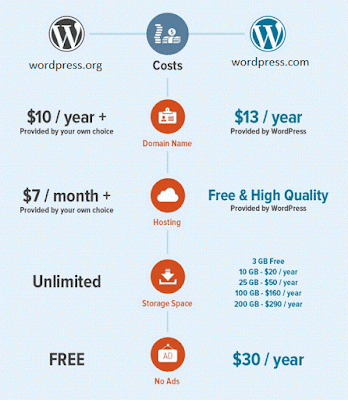 After going through all these points, I am sure you must have decided to go with WordPress.org (self-hosted). Again, if you want to compare wordpress.com and wordpress.org, wordpress.org will be leading. You can check the below comparison between both. So far, the blogging platform has been selected. Now it’s time to work on then niche in which you will be blogging on. I have written a detailed blog post on this topic- 10 best blogging niches to get started! You can check that blog post for the detailed understanding on the blogging niches. Also, I have seen some people discussing whether they should start a single niche site or multi-niche site. It is always advisable to start working on the niche which is of your interest. Also, don’t go simply by checking the CPC of keywords. Some people find few keywords having CPC USD 100+ (e.g. Mesothelioma) and tart working on it and end up getting nothing. Domain name is also one of the important factors in blogging. Your domain name should be easily readable and should not contain any name violating the trademark. You should follow our articles on the domain name- How to select a domain name and cheap domain name registrar in the world. You should know these things before starting any blog and I am sure after finishing this post, you can answer all these questions. Once you’re done with the above steps to start a WordPress blog from scratch, it’s time to work on hosting. Hosting is one of the most important parts of the website life cycle. Your hosting must have the following qualities. After going through all these features, you may shortlist few hosting provider companies and go ahead with them. I personally support BlueHost for WordPress hosting. There are many reasons behind this including the fact that, BlueHost is the officially recommended hosting from WordPress. Apart from this, free domain, instant support, uptime, and server performance are the qualities due to which I recommend BlueHost for WordPress blog hosting. You can check our BlueHost Review for further details. The good thing with BlueHost is the free domain for lifetime. Till the time, you’ll be with BlueHost hosting, the domain will be free for you. If you will buy domain separately, it will cost you around $10-$15 per year. In this section, I will be talking about how to buy WordPress Hosting from BlueHost. You can also check BlueHost hosting review if you need any further details. Now open BlueHost and follow this section to buy a hosting from BlueHost. Buy this you will be joining the community which powers more than 2 Million WordPress websites. Once you will click on get started now, it will take you to the plans page where different plans will be listed as shown below. If you are just starting with the WordPress blog, I will suggest you go through their basic plan at just $3.95 per month. Here you will be allowed to host one website. 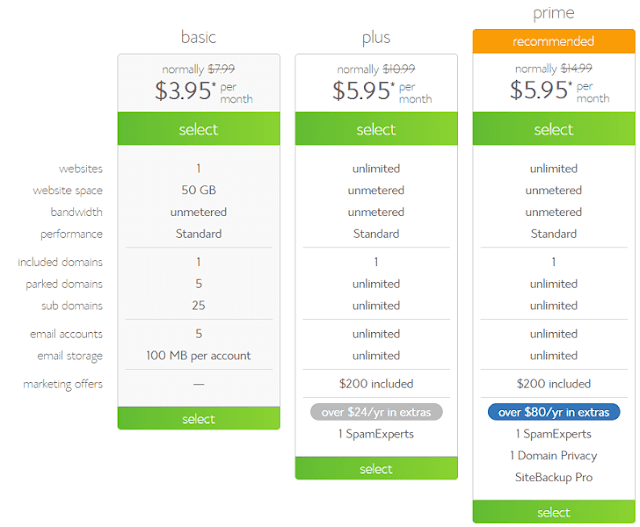 If you need to host more websites, plus or prime plans will work bets for you. The best thing is currently the prime plan is at the same cost of plus plan. Select the plan which suits you and you will be redirected to a page where you will be asked to enter your account details, demographic information, and the payment summary. Here, BlueHost will ask you to claim the free domain. If you are ready with the domain name, you can claim else you can select the option to claim later. 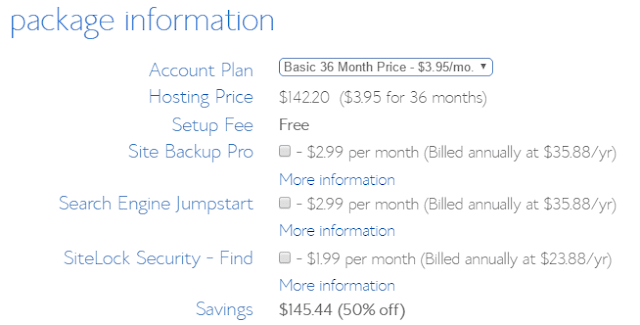 By default, BlueHost will add extra add-ons to your cart. Make sure you’re unchecking those as below. These extra items are not required initially and if you need later, you can buy anytime. Once you have finished the purchase, an email will be sent to you containing the account details as well as cPanel user details. Now you can log in to your cPanel from where you can manage your website and other files. In the cPanel, you will find a section called “website” where lots of apps will be available to you for installation. Choose WordPress from the list and you will be redirected to a page where you can select the domain where WordPress needs to be installed. This domain will be the name which you have claimed or entered your existing domain. Make sure if you are using any existing domain name, their CName should point to BlueHost for proper installation. Pres next button once domain selected and then you can choose your username and password. This will be your WordPress admin account credentials. Once the installation will get completed, you will receive an email with the URL of your WordPress admin URL. You will be asked to log in here and then it will redirect you to your WordPress admin dashboard. So far, we have installed the WordPress in this how to start a WordPress blog from scratch guide. Now we will see the theme selection and installation part. The next step of this start a WordPress blog from scratch guide is the theme selection and installation. The kind of themes you will select for your next blog or website completely depends on the niche and your requirements. MyThemeShop, ThemeForest, Swift Themes, are some of the best markets from where you can browse and buy the themes. It is also recommended for you to check my details article on theme selection- How to select best templates for your blog/website. Now as you know how to select the theme for your WP blog, it’s time to continue the installation of WordPress and move ahead. In the earlier section, we installed WordPress on your domain. Here we will go ahead and install the theme. By default, WordPress install one theme for your blog and you can check that by opening your browser. But that is very basic and won’t fit your need. Also, WordPress by default provides some pre-installed themes. Once you are logged in to your WP admin account, you will have an option called themes inside appearance. Just click on that. Here we will change the default theme. Now you will get an option to upload your theme or an option to install the already available themes from WordPress. You can choose an option as you like and proceed. Once you have installed the theme, you are good to move further and customize it as per your need. You may check the theme documentation and customize it accordingly. So far, you have installed WordPress, Themes, and have customized your theme as per your need. It’s time to enter the amazing library of 46k+ WordPress plugins. 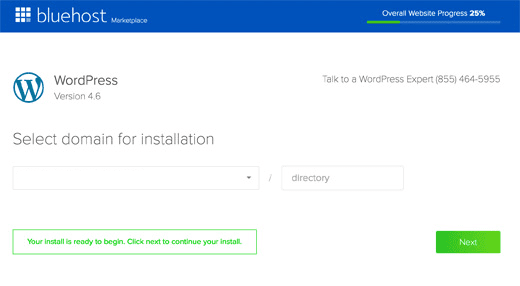 You can install the required plugins to your WordPress and get started. Later as and when you need, you can keep on downloading. You can check our post best blogging tools to find the kind of blogging tools you require. Here are some of the basic plugins you should install to get started. These were some of the important plugins which you should install to get started with the WordPress. Later as and when you need, you can install the additional plugins. To install any plugin, just follow plugins >> Add New and there search for the plugins you want. Once installed, you can activate the plugin to work for you. By now you have installed WordPress, installed themes, configured it and installed plugins. It’s time to start with the content. Here we will create the first blog post for your new blog. By default, you will find one sample post from WordPress, you can delete it and start a new post. For this follow posts >> Add New. You can enter your title and write content. In the right section of the same page, there will be sections to choose tags, categories, and featured images. 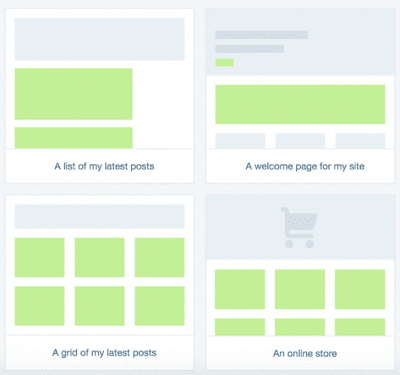 Use these sections carefully and configure as per your content and need. In the next step, check the SEO of the post using the SEO by Yoast plugin. If you have installed it, it will be shown at the end of the page with the analysis. In the page section, you can create the important pages for the blog like About, Contact, Privacy, etc. It’s time to get started with another important aspect of this guide- how to start WP blog from scratch, SEO. 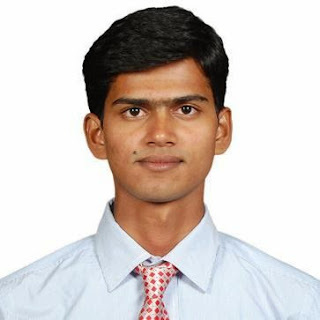 I have earlier posted On-page SEO techniques which you can follow for the complete on-page SEO. It also has on-page SEO checklist which you can download and follow each time you write a new blog post. Off-page SEO basically contains link building, content submission, promotions etc. Link building is nothing but linking your URL on some other website. By this way, search engine comes to know that your contents are getting recommended by others and you rank. Now we have contents ready and have done the SEO as well. It’s time to promote those contents and blog. You should also learn to promote old blog post and avoid certain common blogging mistakes to succeed. I have also listed the top 3 content promotion strategies for best result and you can follow the similar steps to do the same. Here are some of the personal techniques to promote the content for the best result. I have experienced the result and you can do too. • Use short URL instead of long URL while sharing on social media. I did an experiment for an hour with different URL and see the result. • Send emails with catchy headlines; you can take help of free blog title generator here. • Follow sites like Quora and reply with your links whenever you find questions like your answers. We have reached the last step of this long post- how to start a New WordPress blog? This is the most interesting section as our aim is to convert the blog into a business which is not possible without income from the same. You can consider blogging as your full-time business like the bloggers Harsh Agarwal, Jitendra, Neil, etc. are doing and earn more than your salary. But at the same time, you should also consider the fact that no blog is going to make money from the first day itself. First, you need to increase the DA, PA, trust factor, ranking, and traffic of your blog before looking for money out of it. The following articles will be the best help for you while looking to make money online. There are many another price of content written on online money from a blog. You are advised to follow the Make Money online section of TricksRoad. 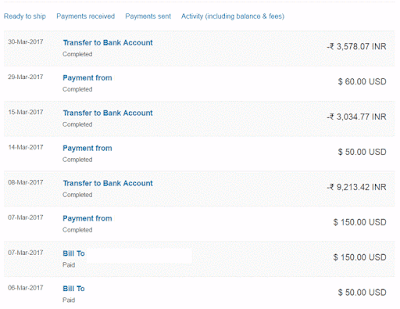 I am also following the same methods and earning a decent amount from this blog. You can check few recent payments below. We have come to the end of this detailed guide on how to start a WordPress blog from scratch. I hope I could make each step clear in this guide. Don’t just go through the content and sit idle, work on it. Start a WordPress blog today and follow the same strategies I have explained in this post. I am sure it will work for you. You can drop a comment on the feedback/questions regarding this post and share on social media.